Chiropractic care refers to the diagnosis, treatment and continued prevention of pain and disorders that occur in the skeletal system and, specifically, areas like the back, neck and body’s joints. Chiropractic’s services are more specialised than those you would find in primary care and a chiropractor will often work closely with you over a long period to time to help correct the cause of pain and provide a permanent solution. When paired with massage therapy and a focus on fitness and health, chiropractic care can lead to effective and long lasting pain relief for those who suffer from injuries, mobility issues, headaches and joint conditions. When do I need to see a chiropractor? There are many reasons you might be looking for chiropractic care. Mobility issues, deep pains in the body and repetitive injuries can all be corrected, restoring function and ease of movement to the body. These are just a few of the different symptoms you might be experiencing that would lead you to seek relief through chiropractic. What happens in a chiropractic session? The aim of chiropractic is to diagnose, adjust and correct issues in the body. A thorough consultation will be held to determine the source of your pain and what can be done before the chiropractor starts the process. An adjustment is a movement made by the chiropractor to loosen the joint and restore mobility. Adjustments are very precise and intend to allow a full range of motion that may previously have been lost. What happens when my joint cracks? A ‘crack’ or ‘pop’ noise is often heard during an adjustment, sometimes causing the client to worry. The noise is simply a gas bubble escaping the joint as it is being corrected. Is chiropractic the answer for me? Diagnosis is the first step in any chiropractic care to ensure that it’s right for your symptoms. At Velca, we readily recommend our practice members to other appropriate healthcare professionals if chiropractic treatment isn’t the solution to their pain. Often recognised as one of the safest forms of pain relief and healthcare, chiropractic is drug free and non-invasive with a fantastic record to back up its reputation. Is chiropractic all I need? 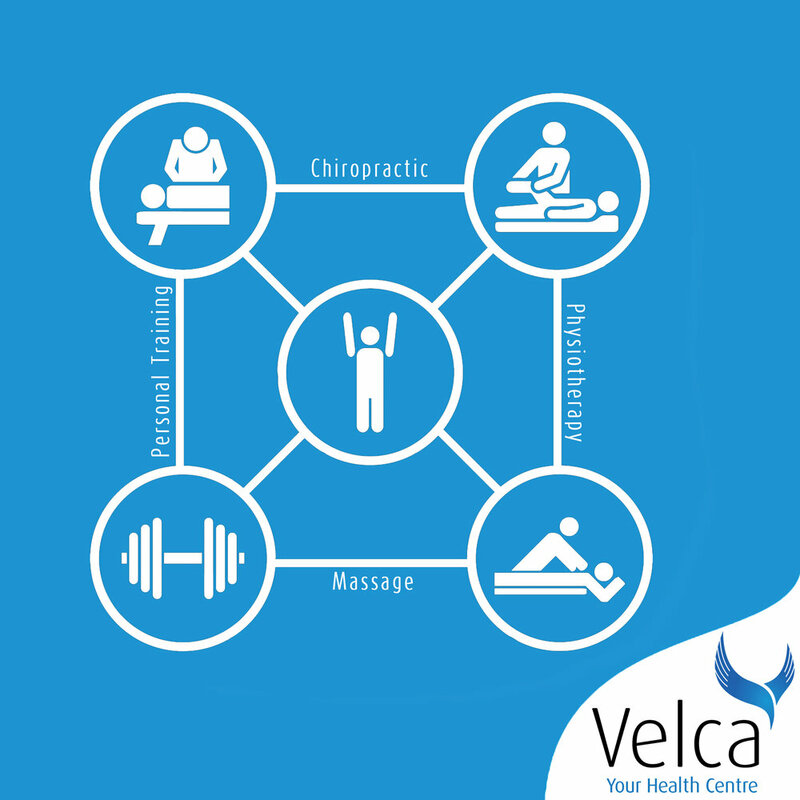 Chiropractic is just part of the holistic approach to health that we have at Velca Health Centre. Through a mixture of chiropractic care, massage therapy and personal training, we help to correct, relax and strengthen the body to help clients break free from pain permanently. After a chiropractic session, many clients report an immediate sense of relief from pain. While some chiropractors have the reputation for providing only temporary solutions, the holistic approach to injury, joint, neck and back pain alleviation we take at Velca ensures that you enjoy freedom from pain permanently from an appropriate course of chiropractic, massage and personal training sessions. The Velca Health Centre in Auckland is committed to alleviating your discomfort and freeing you from pain. The holistic approach to health we take combines several different aspects of healing and correction to form our unique Velca Method.